Hunajasieni aka Honeymushroom avatar of mine. Original design is from Mario games, I have edited/altered it a bit to fit my purpose better. 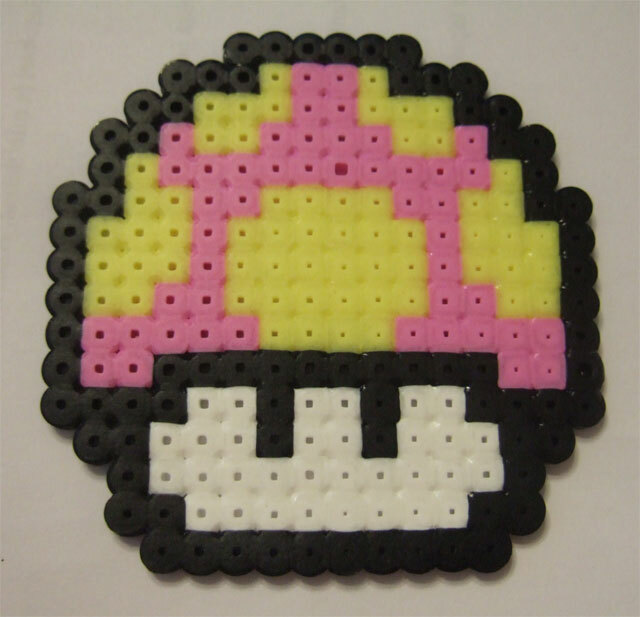 Done from Hama beads and ironed together. This painting has been ready for couple weeks, I finally took it home some time ago. 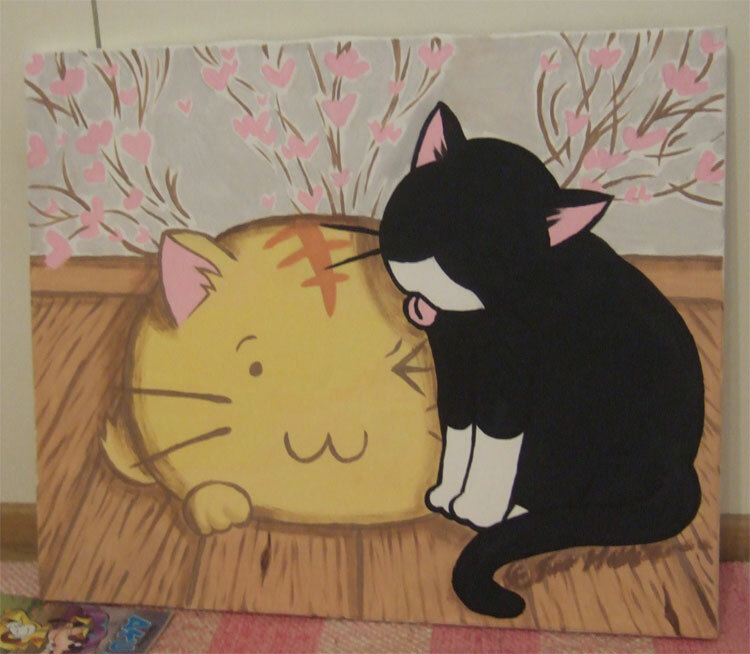 Poyo and Kuro love, from anime Poyo poyo kansatsu nikki. I think the paint was acrylic paints (bottle paints). Well either way they were thinned with water. Size is about same as A2 paper.